Finally after 5 years, the wait is over. 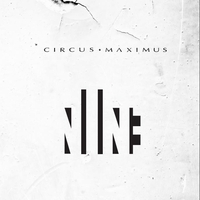 “The circus” by the name of ‘Circus Maximus’, hailing from the frozen northlands of Norway, has decided to travel around the world and perform their latest and much anticipated contribution to the metal scene, entitled ‘Nine’. No common traditional acts of gymnastics or clowns are performing on this show, except some highly skilled musicians playing stunning tunes with acrobatic moves on their instruments. The quintet is still led by “the ringmaster” Michael Eriksen on vocals, who keeps the show moving on with his soulful and emotional vocal performance, with high-pitched tones and his very distinct voice. The remaining members of the gang are also intact, and Mats Haugen is still shredding alongside his brother Truls on drums, Glen Cato Møllen on bass and Lasse Finbråten (who replaced Espen Storø at the end of the recording of ‘The 1st Chapter’) on keyboards. This album is a musical journey, that guides our minds through “nine” metal songs running for almost one hour. The title of the album ‘Nine’ refers to the total number of songs, not counting the instrumental intro though. This bunch of talented musicians tries with their third release to aim at our ears, with a more accessible sound, compared to the previous two releases. So did “the circus” hit a “bullseye” with ‘Nine’? After several spins my inner musical ear is still not hundred percent convinced. The album is still growing on me for each listening, but my greatest fear has come true. It’s still walking on the same melodic path created by the second release, with its use of more straightforward tunes, and even taking it deeper into the forest of haunting melodies. ‘Reach Within’, was the first single from the new album, and as a song it represents most aspects of the album. It’s a symphony of pop, rock, heavy metal and keyboard/synth tones. The song has some influences by the electro rock band ‘Carpark North’ from Denmark, and in my humble opinion, it’s also the weakest song on the entire album, but please don’t scrap this release before listening to the remaining songs, or you will miss out on some beautifully cut diamonds. ‘I Am’ and ‘Burn After Reading’ are some of the highlights, they are poppy and the most progressive songs delivered by the band on this album. Odd rhythms, dynamic songstructures, keyboards shreds, tempo changes and heavy guitar riffs will slap you face several times. ’Game of Life’ is another pearl. It has catchy melodies, but still with a very thick heavy sound added to the soup. Same with ‘Namaste’, it’s a solid heavy tune with incorporated oriental elements. Frontman Michael Eriksen is an unmatchable and unstoppable force on the rock/metal scene, and delivers one of his best vocal performances ever. It is a rollercoaster ride of emotions, which would make tears run down like razorblades on the face of the devil himself. Of course it’s teamwork and with the other four highly talented musicians on board this prog metal flagship, leaving the shore of Norway, they will conquer many prog metal hearts around the world. With this release most of the technical acrobatic tricks from the debut lay buried deep down in the earth, but what we now get from these musicians is so much more than that. It is feelings told with mesmerizing melodies and heavy tunes, which will haunt your dreams forever. My mind was seduced at the end and the same fate will befall you, our fellow reader. Just be open-minded, and let the nine songs grow on you. Hopefully the ending song ‘The Last Goodbye’ will not be the last goodbye from these prog maestros. Highly recommended to all progheads out there!